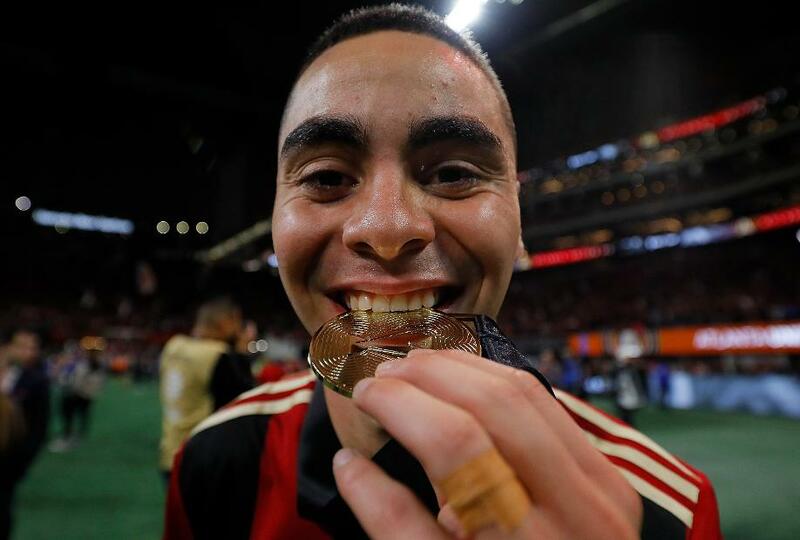 After two seasons with Atlanta United of MLS, Miguel Almiron has made his way to Newcastle United. The Paraguayan won a title in his first season as a professional in his home country, as Cerro Porteno went the campaign undefeated in Primera Division. In 2015, Almiron moved to Club Atletico Lanus, in Argentina, where he would help lead the club to the league title in 2016. Aged 24, he would move later that year to Atlanta to play a central part in the new club’s success in their first two MLS seasons. Playing alongside former Premier League players Brad Guzan and Chris McCann in "The Big Peach", his collection of silverware continued to grow as he led Atlanta to the 2018 MLS Cup. Almiron has 12 caps for Paraguay, representing them in 2018 FIFA World Cup qualifying and Copa America. He is a versatile midfielder, comfortable sitting centrally behind a striker or out on the wing. Regardless of where he plays, Almiron loves to initiate play when his team gain possession and is quick to get forward, with or without the ball. When defending, he is very energetic in dispossessing his opponent, showing an impressive workrate. In attack, he's at his strongest with the ball at his feet, dictating play and leading the counter-attack. In the 2018 season at Atlanta, his second with the club, from 37 matches he was involved in 31 goals, scoring 17 and assisting 14. He has an eye for goal, but combines well with team-mates in open field and in tight spaces.